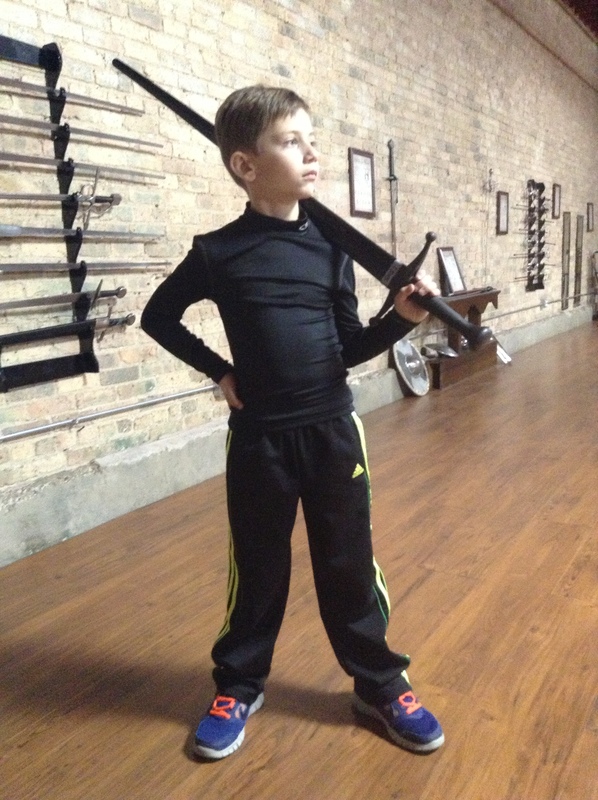 Welcome to FORTEZA CAVALIERS, our new youth swordplay program, specifically tailored to meet the needs of children ages 8 – 15 in a unique athletic program designed to engage your child’s mind and body, instill self-confidence, and promote teamwork. We are very excited to offer this program — so excited that we want to tell you all about both what it is, and what is not! Let’s get the is not part over first, so we can focus on the fun. Martial arts really are a fantastic way for children to develop both athletic and personal skills. But it is also a tricky challenge. Young bodies are constantly changing and evolving, and although martial skills will help hone their potential, the emphasis must always be on safety. How do you do that and make sure that you are teaching the kids “the real deal”? Sadly, some schools don’t. Besides having grown up excited by knights in armour, brave jedi and all of that good stuff, several of our staff also been youth martial arts instructors in mainstream, Asian arts, and we’ve seen the dark underbelly of “kiddie karate”, “Little Ninjas” and “youth blackbelt” programs. Often, they are a glorified, after-school recess program — a way to keep the kids busy and running around until their parents are ready to bring them home. Others teach good skills but with unrealistic expectations: it doesn’t matter if your child is an athletic prodigy, a 12-year old “blackbelt” simply cannot generate the power, speed and precision of his adult counterpart. What often happens is that these young “blackbelts” make the switch to adult classes and find out that their rank doesn’t mean much at all, and they quickly drift away to other sports or hobbies, disappointed. They’ve been set-up to fail. So much for “building confidence”, eh? An emphasis on safety, control, fellowship and fun! We call this the Forteza Cavaliers, and here’s how it works. The Cavalier Program includes a detailed ranking system to measure progress and help students set achievable goals for themselves. The structure is organized in a parallel system to our adult ranking system, and is meant to integrate with it, should a child decide to continue with our adult classes. By keeping the systems similar in methodology but distinct, teens don’t move from our youth program to adult classes with a “kiddie blackbelt” that doesn’t measure up with the grown-ups. Instead, they will graduate from the Cavaliers program with skills and knowledge that places them several years ahead of new adult students! An introductory rank for the very young, or children who may have motor-learning special needs. Focus is on building coordination, cooperation, safe falling and tumbling skills and basic swordplay and safety skills. For safety, classes employ ‘boffers’, swords made of PVC rods wrapped in high-density foam and duct tape. This level of the program begins by familiarizing students with the basic body movements of renaissance swordplay and to accustom them to the weight of the sword. Training at this level focuses on medieval wrestling and the use of the two-handed sword. Using a combination of physical conditioning, drills, games and supervised sparring, students will strengthen their bodies and sharpen their instincts while having fun! Students at this level use properly weighted and balanced resin swords that give the authentic feel of the real thing while being safe and manageable. The core of the Cavalier program is the Squire rank, which has four sub-grades, each corresponding to a heraldic animal that embodies Forteza’s core virtues. While Squires will have the opportunity to handle the regular steel weapons used in adult classes during some training exercises, students at this level use properly weighted and balanced resin swords that give the authentic feel of the real thing while being safe and manageable. In addition to training with the medieval weapons and wrestling, squires will learn to use the dagger, the spear and the rapier, the elegant dueling sword the Renaissance. Beginning with a symbolic graduation ceremony reminiscent of the medieval knighting ceremony, the Cavalier rank is the “coming of age” for young students. In this final rank, our young men and women begin training in adult classes, using the same training gear and uniforms as their adult counterparts. Although generally corresponding to age, although older children entering the program will usually pass through the first two levels very quickly, before settling into Squire training. We took our time and set out to build a program that would grow in focus and intensity as the children themselves grew; not just in size, but in athleticism, focus and intellectual curiosity. Learning martial arts is a long process, with intricate skills that are developed over time through in-depth instruction and continued practice: there are no shortcuts to skill-building! The direct benefit of this structured approach is increased coordination, strength, ability to analyze new situations, self-control, and respect of self and of others. Our Cavaliers Program teaches children the use of the two-handed longsword, dagger, rapier and spear — precisely the same weapons that the adults learn. Exercises from our adult program are adapted to the needs of young martial artists, and are designed to emphasize development of balance, coordination and strength. Literally starting from the feet up, each child progresses at an individual pace through the seven levels of the curriculum by using solo drills and exercises, partnered drills and games, and as their experience and control develops, actual fencing. Here’s an example of how this works in practice: wrestling is a key component in medieval martial arts, but so is control and safety. So the wrestling component in the Apprentice level (ages 8 – 9) is focused on learning tumbling, falling and balance exercises to develop a sense of ease and comfort “in their own skins”, then they begin to work with partnered exercises and games, some of which are hundreds of years old, which are designed to add a sense of competition, as they learn leverage and movement against a partner. By the time the seventh and final level of the curriculum is completed, they will have a foundation in the same throws, pins and joint locks as our adult students — only with several more years of practice. A similar pattern works with weapons. At first, young students will train with light, scaled-down nylon training swords. When used with a fencing mask these lighter, flexible weapons are quite safe, but they are taught from day one that they are weapons, and taught to handle them the same way they would sharp, steel swords. As they grow in mind and body, so do the tools that they will use, and the variety of techniques and targets that they can use when sparring: literally letting them “grow” into adult classes, where we use blunt steel weapons. This is very similar to how pages and squires were trained centuries ago, using progressively larger and heavier wooden weapons until they began to train with adults, as adults. So as the children grow, they not only learn more techniques and new weapons, but they adapt to progressively heavier tools, more diverse sparring methods and new forms of exercise and conditioning routines that fit the actual body they are living in at that time. More than just another martial arts class, our youth program is designed to develop life skills and ethical, self-confident young men and women, based on the traditional, seven chivalric virtues of the medieval knight. At first, the traditional names of these virtues may seem archaic, but when you see them besides their modern counterparts, we realize that they are just as meaningful today as they were six-hundred years ago. Each level of the curriculum is designed to focus on one of these virtues, and challenge the students to learn how to make that virtue a part of their daily lives. Classes interweave physical training with teamwork exercises, lessons on medieval and Renaissance military history, arms and armour, heraldry, and short reading assignments to hone their minds and surely as their bodies. Remember what we said earlier about “kiddie blackbelts”? We take that seriously: there is nothing worse than seeing an adolescent or young teen switch into adult classes and suddenly feel like their hard-earned rank means nothing. Part of our educational mission at Forteza is to promote authentic, historical European martial arts and to foster students who will want to make those arts a part of their lives. Therefore, a key part in designing the youth program had to be “how does one graduate”? This is embodied in the seventh and final rank of our program: the Cavalier. Named for the knightly courtier, the Cavalier rank is the “coming of age” for young students. Beginning with a symbolic graduation reminiscent of the medieval knighting ceremony, in this final rank, our young men and women begin training in adult classes, using the same training gear and uniforms as their adult counterparts. The difference is that for the teen, they have already learned most of the skills that the adults are learning themselves, and are instead learning how to apply them with and against adults, and refining their knowledge for their “final exam”; in this case a skills test, written and sparring exam. 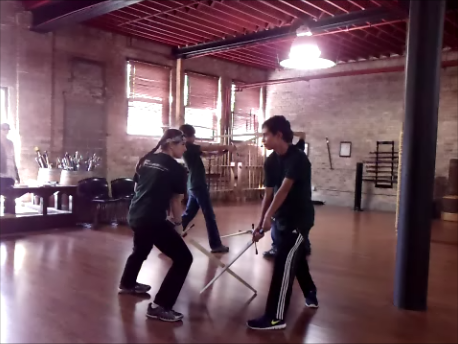 Once passed, they are no longer part of the cavalier program, but are now Scholars in our adult swordplay program, and eligible to join the Chicago Swordplay Guild. Scholar is the first major adult rank, and one that students will achieve in either medieval or Renaissance swordplay after a year or two of training. 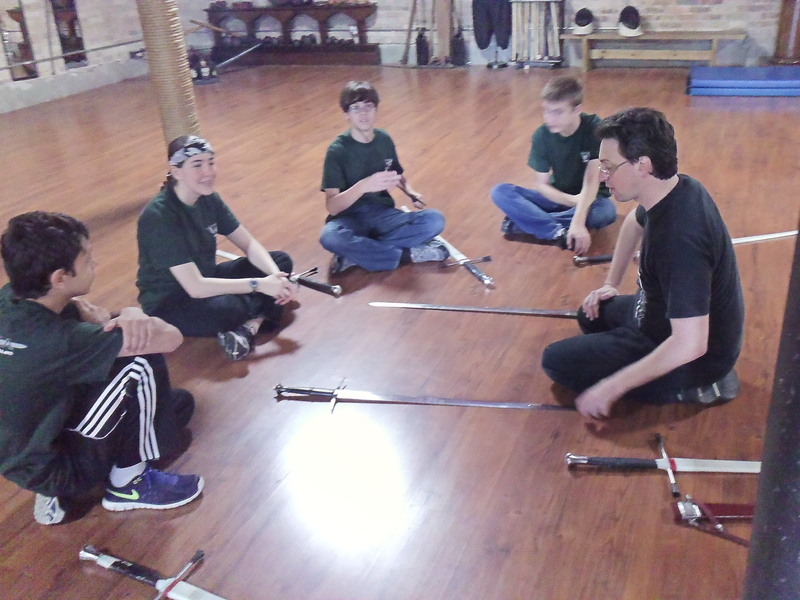 Because the youth program teaches all of the skills of both programs, teens will be able to test for rank in both, meaning that although they join the Swordplay Guild with a mid-level rank, they are actually more well-rounded martial artists than most of the adults who share that rank, and are well-prepared to continue their training. We find that this is a much more realistic reflection of the advantages of youth training that creating artificially inflated ranks. We have ambitious objectives in our youth program, so it needed an instructor who was up to the task, as a martial artist, youth instructor and fitness expert. Jesse Kulla is a PTA Global certified personal trainer who has had a lifelong interest in physical fitness and martial arts. He began his training in 1995 in Korean martial arts, gaining black belt ranks in two arts, before exploring Wing Chun, Hapkido, and the Filipino Martial Arts. Jesse joined the Chicago Swordplay Guild, shortly after its founding in 1999, where his focus has been on their Armizare curriculum. In 2008, along with Keith Jennings, he became one of the first two people to earn the rank of Free Scholar of Armizare from the Guild. 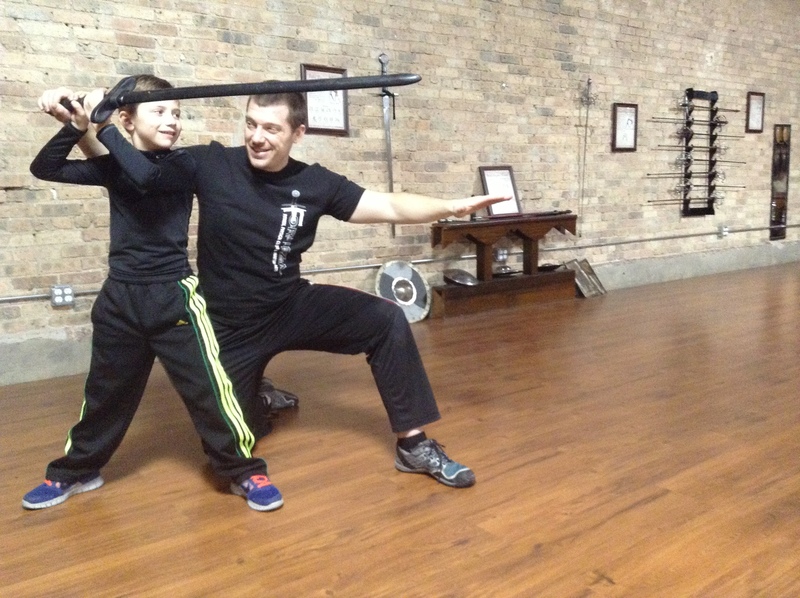 As a Guild instructor he has taught throughout the Chicagoland area, at events such as Chivalric Weekend and the Western Martial Arts Workshop, and in private seminars around the country. We’ve tried to create the youth martial arts program that we wanted to take, but did not exist, when we were kids, combined with the things that, as adults, we want from any school where we’ll send our children. You can download our Cavalier Program 3-Fold Brochure (1) which has additional details and FAQs, but the best way to learn more is to just come in! And don’t forget to watch this blog for more information on the Cavaliers in the weeks and months to come.